Guitar is probably among the oldest instruments in humankind history. Even though its widespread usage dates back to 12th century, there are some speculations that people employed guitar-like instruments even in the Babylonian era. This long history has allowed us to come up with different types of guitars and make them more ubiquitous, acoustic guitars being among the most common. The latter is not a new kid on the block either. Something that resembled modern acoustic guitars the most was developed in Spain in 16th century and was referred as vihuela de mano. A lot of time has passed since then. Music history has seen the competition of quite a few brands on the market. However, there are some that could not be beaten. Today we will talk about the best acoustic guitar brands that withstood everything life threw at them and maintained the quality everybody loves till this day. When thinking about this subject, you cannot help but wonder, what are the qualities that turn a mediocre company into the best one, a staple on the market? Is it just the good products or sustainability has something to do with it? In my book, both are quite important. If a brand makes one good product but screws up the rest, it will be impossible for it to stay in the game. Each and every company has to offer quality products, be innovative and take risks, so that a pattern of reliability is established. Once a brand achieves that, earning the name of the best will be a matter of time. The following briefly discusses the history of the best acoustic guitar brands and underlines what makes them so different. So keep on reading! An idea and effort child of a German immigrant Christian Frederick Martin Sr., Martin has an illustrious history. Starting from 1833, the company has been family owned for six generations. The company is responsible for such landmarks in guitar history as an invention of dreadnought body style and X-bracing. 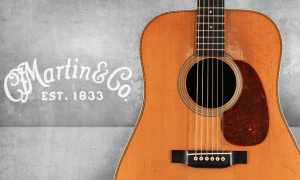 Martin’s name is illustrious and its guitars transcend genres and decades of music with musicians like Bob Dylan to Band of Skulls being long-time users of their models. I know, I might have bored you with the short origin story of Martin but I think this company’s history plays a major part in what it is today. The tradition of well-conceived guitars and instrument passes from one generation of the family to another and people who work there care not only about making guitars but also about sustaining the name of Martin. For a company that has gained such popularity and range of market, it is almost a miracle that they still handcraft their instruments and have quality checks that are unmatched in the industry. High-quality guitars and years of craftsmanship, of course, come at a high cost. You will mostly see Martins in $1000 and up categories. They are like crème de la crème of guitars, you get it when you deserve it. Taylor produces both acoustic and electric guitars but their acoustic models are by far the more famous of the two. 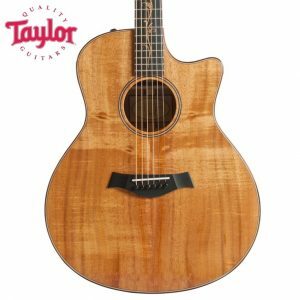 With their headquarters and factory housed in El Cajon, California, Taylor produces high-end acoustic guitars that are renowned for being comfortable and easy to play. The company’s well-established name does not render it a “dinosaur” that does not want to innovate or use some interesting methods. For instance, Taylor was the first company to use lasers and computer mills in developing their guitars. Taylor’s patented neck is one of the standard-setting products that shows how several decades of experience and dedicated team can lead to furthering boundaries of innovation. From 1999 Taylor started releasing their guitars with a patented neck. Their neck was different from the other ones before, as it was a bolt-on neck that used using one piece of wood to the nineteenth fret (while the other ones went only up to the fourteenth fret). This did wonder to the sound and overall construction of the guitar. That and a lot more are what makes Taylor one of the frontrunners in the acoustic guitar industry. With over a century behind its back, Gibson has quite a few ups and downs in their financial situation but mostly never in their reputation. Today, their name stands among the best and the most trusted companies for electric guitars as well as acoustic. 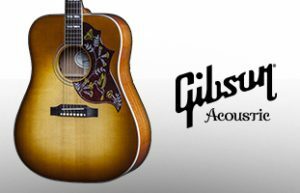 While Les Paul and some of the electric guitars that Gibson has produced might be what they are the most famous for, their acoustic line definitely has a good selection of high-quality guitars. Of course, Gibson guitars do not come at a low cost. You probably will not find anything under $1000 but their quality product still has a ton of people who would kill for Gibson’s guitars. Gibson’s sound is unmistakable with anything else that is mostly due to their immaculate choice of tonewood. Based in Nakatsugawa, Gifu, Japan Takamine had a very humble beginning with a small family-run instrument shop. With the rise in popularity of guitars in Japan the small shop became known as Takamine Gakki (Gakki stands for a musical instrument) and by the year of 1968 probably the biggest change came to the company. The name of the change was Mass Hirade, a now renowned luthier who transformed Takamine and made it famous not only in Japan but throughout the world. Best known for their steel-string acoustic guitars Takamine deep its feet in the electric guitars as well. They are known for being the first ones to use the under-saddle Palathetic pickup that makes so many lives (guitarists’ lives, I mean) easier to this day. While the leader in guitar tech Takamine does not eschew from the tradition of lutherie and acknowledges the wide influence of a good master in creating the best quality guitars. Musicians like Bruce Springsteen, Jon Bon Jovi and so much more have been using Takamine guitars for years. 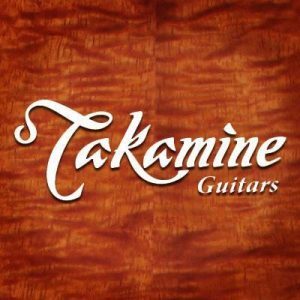 Founded in 1962, with the Japanese dedication to perfection, Takamine took their guitars from a small town shop near Mount Takamine to the world stages. Now, if there is a company that can say it has reached the top, fell down and got up again, it is definitely Epiphone. With their history starting in 1873’s Smyrna, Ottoman Empire company has seen its history move to the US, Japan, and Korea. Anastasios Stathopoulos, founder of the company (although, it was not called Epiphone for a long time) moved to the US and continued creating what he new – fiddles, mandolins, layouts, banjos. To shorten the very complicated and fascinating history of Epiphone, let’s just say, the original founder died leaving the company in the hands of Epaminondas who was called Epi (you probably are guessing where their name of Epiphone came from) who was probably one of the most influential figures in taking The House of Stathopoulo to world-renown. With one eye to the future, Epi knew that he had to diversify and started creating guitars (the first of which were not a big success). With a company that has been in existence for this long and was pretty much family own all the time, the tides of the history did not treat well. During the WW2, the famous Epi died leaving the company to the two younger brothers. The tragedy ensued with the decreased reputation and sales (as well as you know the usual war issues). For years Gibson and Epiphone were warring with each other until the unification of the two companies. With years of trial and error as well as endorsements from some of the most famous musicians of the time, Epiphone became not only a leader in the market but also one of the biggest rivals to Gibson. After years of competition, Gibson bought out Epiphany but that was definitely not the end of the company. I would say this is one of the few companies that went through moving from Turkey to the US then to Japan and Korea and still managed to create a product that was beloved by so many people. Founded by Leo Fender in 1938 (Fullerton, California) Fender is probably the most famous companies for creating Telecaster and Stratocaster models. That being said, Fender is not one of those companies that create one innovation and then dies down. Since 1946, Fender guitars have been transforming the guitar scene pretty much like no other company. While more famous for their solid-body electric guitars and bass guitars, Fender acoustic line is pretty amazing as well. While there are a lot of affordable models in their lines they usually boast some of the best development and build on the market. Their acoustic models like Fender CD-60CE is probably one of the best well-priced acoustic guitars on the market today while their Paramount Series PM-3 Limited Edition Mahogany model is in a more mid-priced range but still seems like bargain ones you know the specs or listen to it. With their headquarters in Scottsdale, Arizona Fender is probably one of the few companies I can be sure will persist even with the slowed down market. Their history, knowledge and diverse lines are pretty much a guarantee of amazing quality, bargain acoustic guitars and much more. A Canadian company established in a small town of La Patrie in Quebec, Seagull is a sub-brand of Godin Guitars. 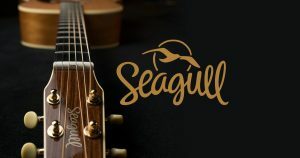 While a lot of the companies produce acoustic guitars as well as electric guitars, bass guitars and a lot more, Seagull specializes only in acoustic guitars. Not only that, it specializes in solid top acoustics, unlike a lot of companies that nowadays choose to use laminated tops quite a lot. The specialization of the company allows for full-focus on the acoustic guitars with all the talent being poured into innovations and craftsmanship of the one product that they are so proud of. Established by Robert Godin in 1982, Seagull uses certain distinctive features for their guitars. One of them is the headstock shape and the placement of the tuning machines in line with the nut to allow for better tuning. The other innovation that Seagull came up with was their curved top design which allows for more stable sound and less heavy bracing. While a very product-specific company, Seagull usually does not stamp $1000 and up marks on their guitars. Their main goal is to create a guitar that is the same quality as the best hand-crafted model and bring it to the broad clientele who can only afford low to mid-price range guitars. 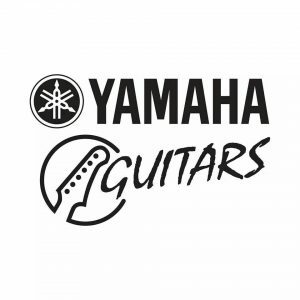 Whether you are looking for your next, or first electric guitar or your first bass guitar or pretty much anything imaginable in the music world, you can easily go to Yamaha and expect them to have anything. Anything, in any price range. I guess that is one of the biggest reasons why Yamaha, a Japanese brand, has become the biggest manufacturer of musical instruments in the world. For a company that started its existence by creating a reed organ in 1887, Yamaha has definitely come far. How they went from a humble company that produced organs to producing acoustic guitars, electric guitars and a lot more can be explained by two things. Obviously, being on the market for over 130 years makes you rethink your strategies and products but the more important one is the sheer dedication and craftsmanship. Without those two, Yamaha would not be able to create some of the best and at the same time some of the most affordable guitars. The best thing among a plethora of good things that I can say about Yamaha is that they have the most diverse pool of instruments. Whether you are a beginner just getting your feet wet in this industry or a player with 50 years of experience, you can be sure that Yamaha has got some amazing acoustic guitar for you. If you are a twenty-something-year-old dreamer, wasting your time away in a small apartment in Brooklyn with your optimism slowly dwindling away you sure as hell are not the first of the last one. Just like you, Friedrich Gretsch was hand-crafting banjos, tambourines and everything he knew with a vision of something bigger. That something was Gretsch. Hopefully, unlike Friedrich Gretsch, you do not pass away leaving your entire to a fifteen-year-old kid called Fred. That being said, Gretsch in the hands of the founder’s son, ended up becoming one of the top manufacturers of acoustic guitars. To these days it remains one of the old companies that not only kept close to impeccable reputation but added to it by the marriage of traditional craftsmanship with innovations. Gretsch claims that their “success isn’t an accident – it’s by design”. Granted success might be a stroke of luck but once you hit that 100-year mark, you probably aren’t just lucky. You are pretty much a master of guitars. For quite a few years now, Gretsch is under Fender’s ownership. While manufacturing and quality control are left to Gretsch, Fender mostly oversees sales, marketing and so forth. Despite Fender’s ownership of the company (which actually did them pretty well), Gretsch has stayed one of the biggest names on the market. With a lot of amazing, from low to high priced guitars Gretsch is famous for the choice of their woods and high-quality craftsmanship. Cordoba might not have the long history that a lot of other companies in this business have, but it definitely has created a name for itself. Among nylons string guitars, Cordoba holds a place in the top ten brands and that is a big thing for a company with about 20 years experience. When Cordoba says they know what they are talking about when they talk about nylon-string guitars, they sure as hell mean the business. Their approach to nylon-strings is nothing like any other companies. They create lightweight, resonant guitars that vibrate freely and make even the most inexperienced beginner feel like a master of the instrument. 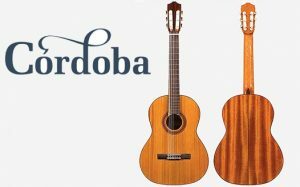 While Cordoba started off with traditional Spanish guitar making, they soon adopted the more modern approaches (like with Fusion Series) that make them so likable to the modern player. Now you can decide yourself what makes up the best acoustic guitar brand on the market! If you read the article carefully, you know which names to look out for when choosing your next acoustic guitar. Knowing all of this is important due to one simple reason: you should always have something to rely on, something you know will work no matter what. It is true that every brand has at least one “bad” product, but the plethora of good ones makes you forget those minor flaws and mistakes. Especially when these mistakes drive companies to explore more and develop even better instruments. This does not mean, of course, that only these brands should be purchased. However, everything is about the competition and the brands listed above are nailing that. They do really stand out among others and, if you ask me, define the industry itself. Whether you will choose something of their production is completely up to you, but if you do, trust me my friend, it will be worth every penny. Figure out what works best for you, listen to demos and make a decision accordingly. Pick out the brand that will never let you down and rise above the music. Best of luck, fella, on your wonderful journey into the universe of acoustic guitars!